Southern Maine's Choice For Economically Priced Computer Services, Networking and Computer Repair. Computer Services You Can Actually Afford, Located Right in Limerick, Maine! Want to back up your Gmail e-mails or are you planning to migrate Gmail to a different service all together? I was going to delete my e-mails in my inbox to tidy up a bit and I thought “what if I delete something I didn’t want to?”. This led me to seek out a way to backup my Gmail e-mails in case this happened. Come to find out, you can download your e-mails and contacts to use with a different e-mail service provider or just for backup purposes directly through Google! 1. 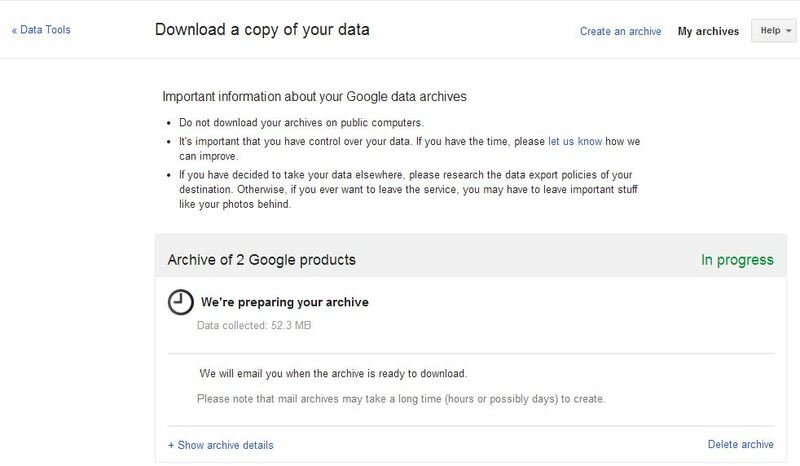 Go to the link listed above, click on “Create an Archive”. 2. Choose what services to archive and wait while they are prepared for download. What do you mean by open formats?